In one state, a Labor government was showing an unprecedented respect for Aboriginal land rights. 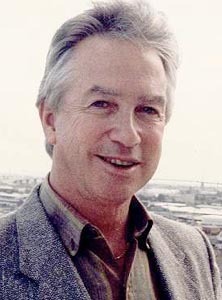 South Australians elected a Labor government in 1965, led by Don Dunstan a lawyer and member of the Aborigines Advancement League. Dunstan's Aboriginal Lands Trust Act 1966 vested title over Aboriginal reserves in a trust of three or more people of Aboriginal descent. Other lands could be added to the reserves either by the government transferring Crown land or by the trust's purchase of land. Dunstan saw his law as living up to the respect for Aboriginal property rights which had been declared when South Australia was first colonised. But more grasping colonial attitudes were well represented in South Australia's parliament. When Dunstan tried to include mineral rights in the Land Trust's title, so that Aborigines would benefit from any mining on their land, the upper house rejected this part of his bill. The Aboriginals Lands Trust Act 1966 vested freehold title in a State-wide Trust which grants 99 year leases to local communities incorporated under South Australia's Community Welfare Act 1972. Similar 'Lands Trust' laws - centralising, and limiting the scope of, land owners' decisions over extant reserves - were passed in New South Wales (the Aborigines Act 1969) and in Western Australia (the Aboriginal Affairs Planning Authority Act 1972). Victoria's land trust legislation was better in that it devolved land use decisions to the local owners themselves. Still: Courtesy Dunstan collection, Flinders University Library.